Founded in 1936, Canadian yogurt company Liberté began with fresh and high-quality ingredients, producing cottage cheese and sour cream. But it was in 1964 that they began making yogurt, and to this day they are one of Canada’s most beloved brands. In 2016, they elevated their core value and made the necessary changes to become an organic brand. When they elected for a redesign of their company and products, Stand MTL, a Canadian-based agency, spearheaded the project. 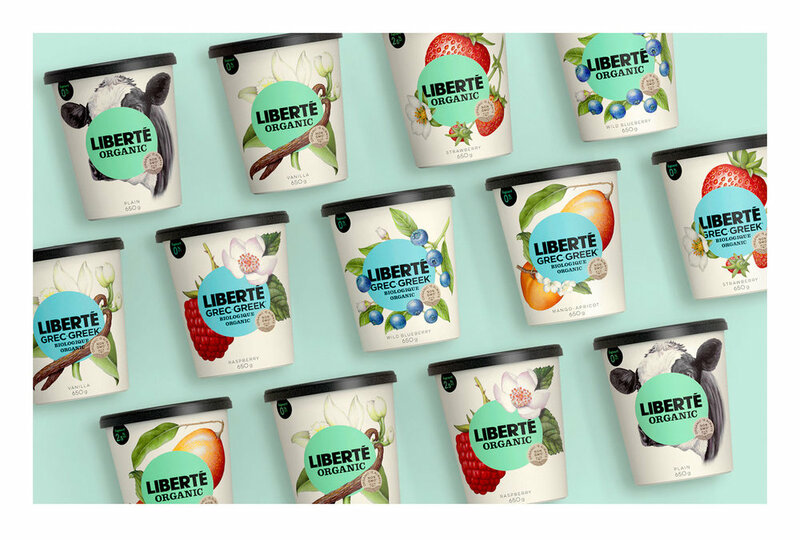 "We've been working with the Liberté team since 2010 and have seen the brand triple its market share since," begins Jimmy Berthelet, founder of Stand MTL. 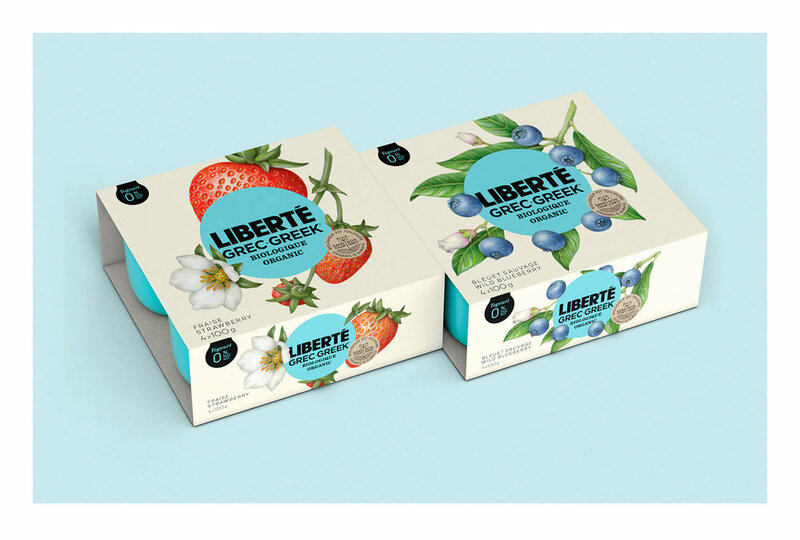 "An important part of this impressive growth is directly linked to Liberté's contributions to the Greek yogurt category. They are the first national brand to see the potential for great tasting products that are creamy, satisfying, delicious and contain 0% milk fat. They also grew the brand with intelligence, integrity and hard work." When it was time to redesign the brand, Stand MTL knew they had to get to the heart of the company. So they started asking questions. 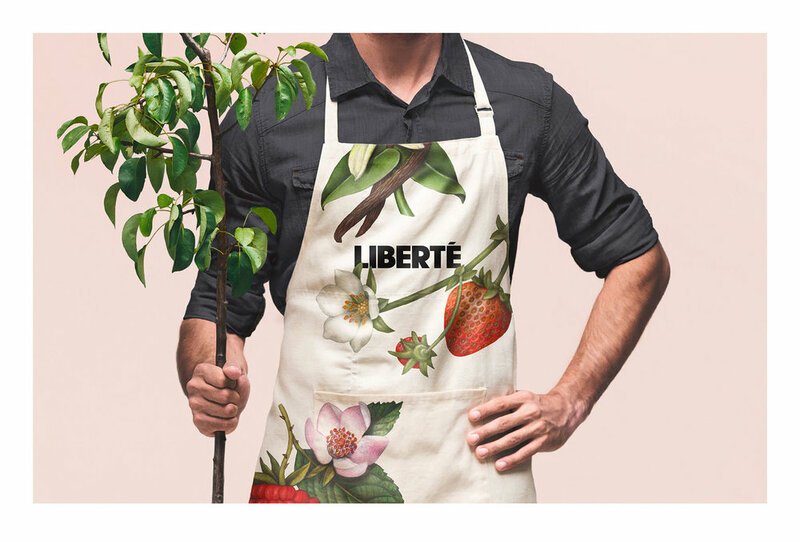 What does Liberté stand for? What makes them better and different? What inspires, motivates and defines the company? 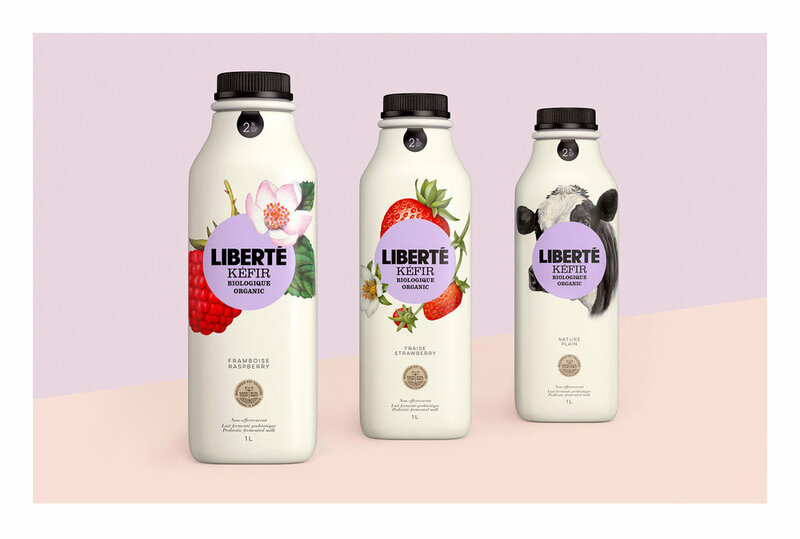 "We then took a closer look at our competition, both here and in Canada and around the world, in order to give ourselves a proper view of the organic category in dairy as well as non-dairy contexts," shares Simon Brisebois, Senior Brand Manager of Liberté. These findings allowed the team to see the full potential of the brand and to conceive over 200 design directions that covered a variety of target markets and territories. The best of the best reminded consumers that Liberté is synonymous with quality, integrity, purity and an exceptional taste. 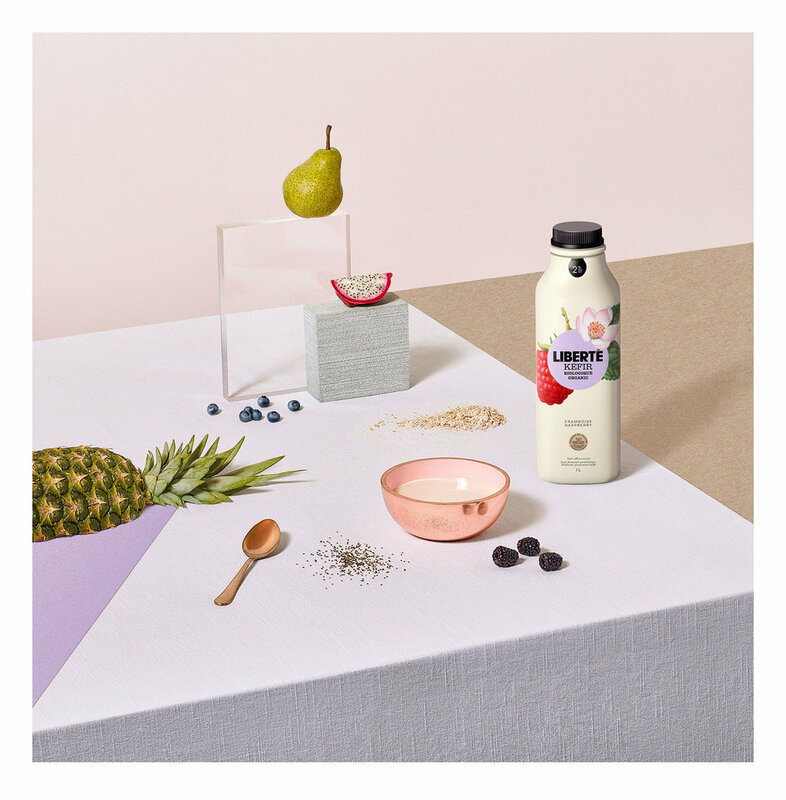 "The final design platform was inspired by one main idea – the proper presentation of the fruit inspired by early century botanical illustrations," begins Caroline Blanchette, artistic director of Stand MTL. " We found and mandated an American illustrator, Douglas Schneider with whom we worked on the different illustrations that are supported by a simple graphic approach that places a clean brand element at the center of the packaging and a cream base color that emphasizes the natural, pure organic nature of the products." Schneider started the process by sketching designs based on the moodboards Blanchette created. When the designs were approved by Liberté, they moved forward with color, lighting, texture and detail. From there, the work was scanned and digitally retouched so they could deliver a consistent and well-balanced design across the Greek family collection. 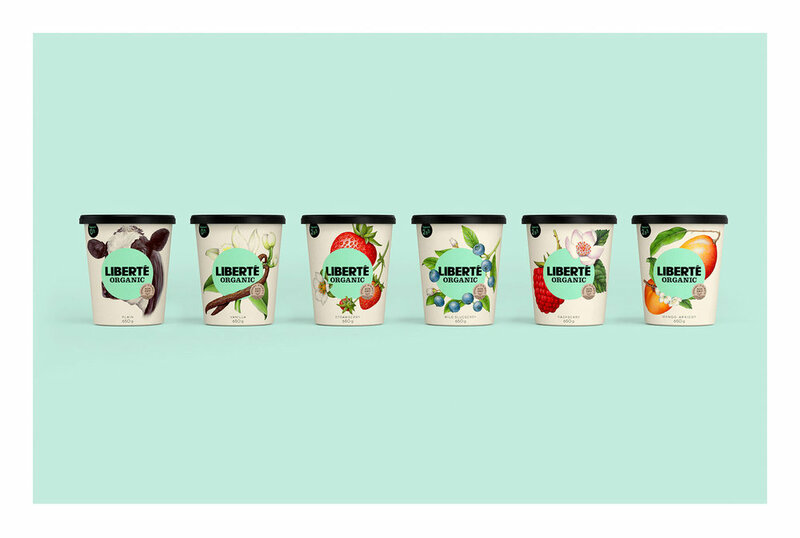 These designs, while minimal, elevate Liberté as a brand in the Greek yogurt aisle compared to the original designs that had a more traditional feel with the product towards the top and a picture depicting the flavor at the bottom against a white background. 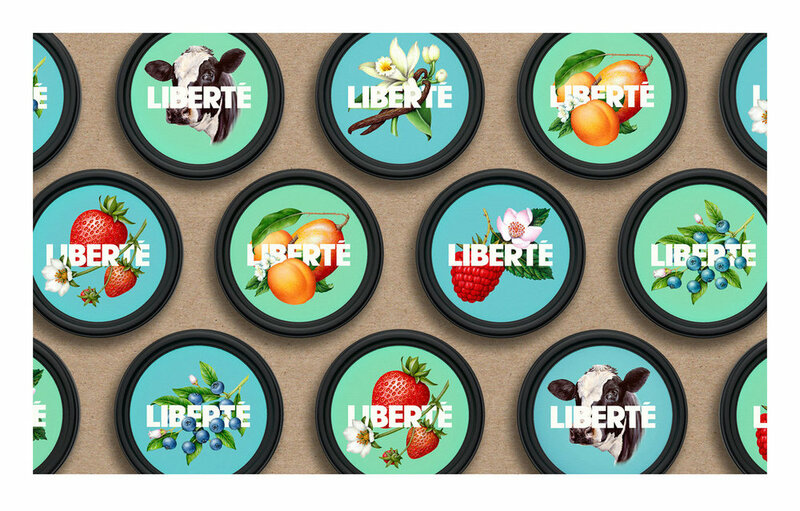 "We worked for over two years on this organic platform as it was the first iteration of the Liberté brand and we see it moving forward. 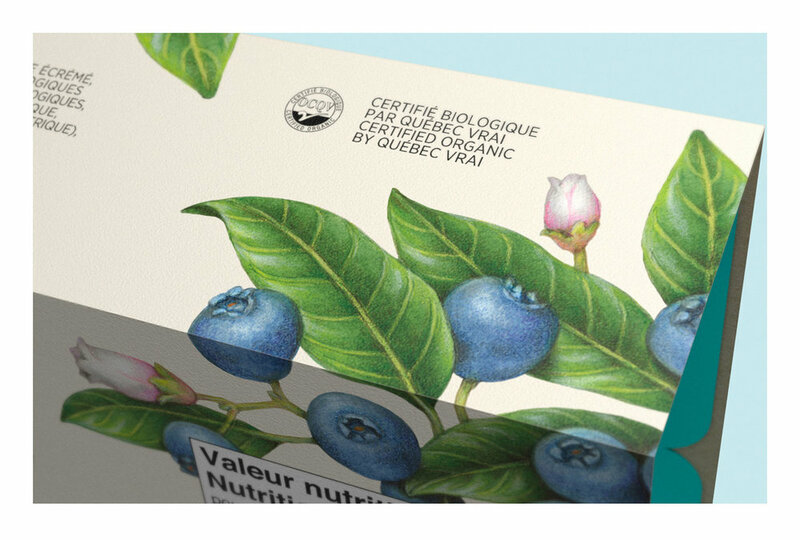 We want people to feel that the packaging is a part of the product," states Manon Pelletier, project lead. 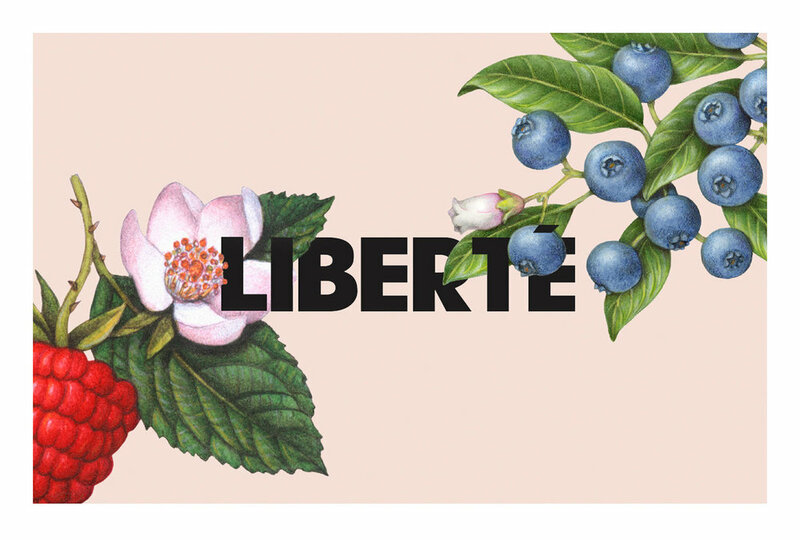 "Obviously, the Liberté team was key in making this platform take flight. 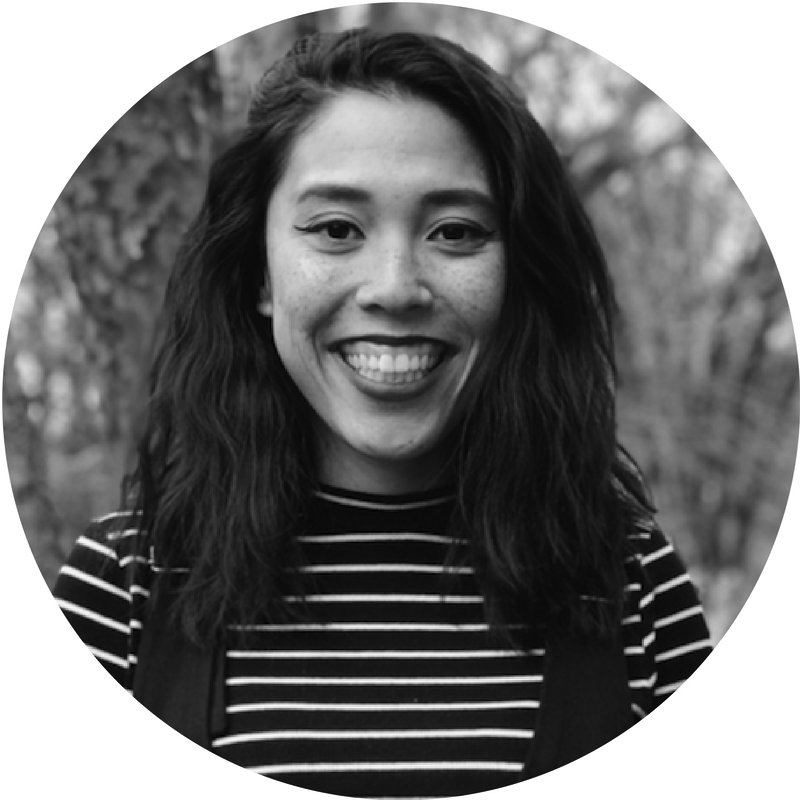 They demonstrated real vision and courage and trusted us enough to go all out instead of tweaking the current design out of fear of losing business." The trust, while rewarding, also played a role in Stand MTL's greatest challenge as it required courage to go all out while making sure they stayed true to the brand in a confident and creative manner.